BYU Football needs an identity and they thought that they could have had something to define themselves with a little if they could get a win over Boise State last Friday night. The Broncos came in with not much to say for themselves on the offensive side of the ball, but after starting off quickly with a score in the first quarter, they would be the only points BYU would score all night in the 24-7 loss to Boise State. The Cougars now head to Mississippi State and will try and avoid a 1-6 start. Alex Kirry brings you the game highlights or lowlights depending on how you see it. Alex Kirry walks you through the key plays across the game up in Logan last Friday night. The BYU Cougars needed a win in a bad way instead they got even more bad news. 7 turnovers, a hurt backup quarterback and a loss to a fiery in-state rival. Ula Tolutau loses two fumbles, Jalen Davis returned two interceptions for Aggie touchdowns and Beau Hoge's injury leaves the BYU quarterback starter for this Friday versus Boise State, up in the air. An ugly 1-4 start for the Cougars goes from bad to worse with the injuries at QB. Host of KSL's Cougar Sports Saturday, Alex Kirry, goes through a timeline of BYU's loss to Utah from Saturday. How turnovers, lack of offense and a case of too little too late proved too much in a 7th straight loss in the rivalry game for the Cougars. Can Tanner Mangum ever get comfortable in this Ty Detmer offense? Is Tyler Huntley as good as BYU made him look on Saturday? Plus, a hurt Tanner Mangum could mean a very long game #4 for BYU vs. The Wisconsin Badgers. Kai Nacua talks about his game winning INT right after the Cougars 24-21 Poinsettia Bowl victory over Wyoming. Alex Kirry and Cleon Wall then read listeners texts and give their opinions on the game. Corbin Kaufusi and Nick Kurtz join Greg Wrubell and Mark Lyons in the Locker Room Show. 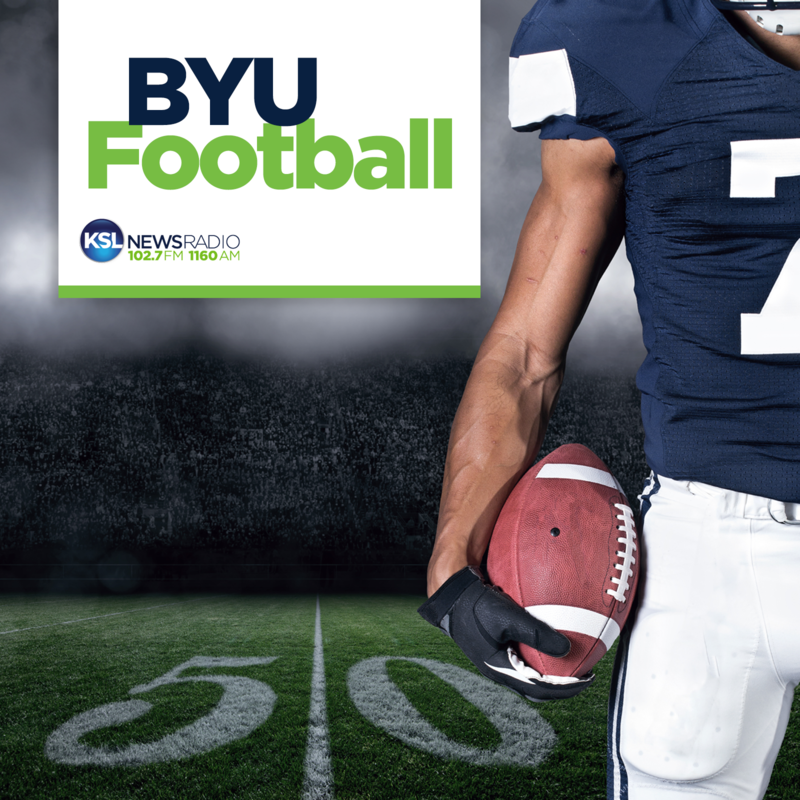 You'll also hear from Harvey Langi, Jamaal Williams and head coach Kalani Sitake. Coach Kalani Sitake relfects back on his 1st season and his 1st ever bowl win as head coach of the Cougars. Greg Wrubell, Marc Lyons andnate Meikle address fans everywhere in Cougar Nation Now. Cleon Wall then wraps up the broadcast with a recap of BYU's 24-21 bowl victory over Wyoming. Alex Kirry and Mark Lyons gets you ready for the Poinsettia Bowl including interviewing Wyoming play-by-play announcer Dave Walsh. Cleon Wall shares a look back at the 1996 WAC Championship game between BYU and Wyoming. Nate Meikle reflects back on his time in bowl games. Wyoming head coach Craig Bohl tells Alex Kirry how much he's impressed with the Cougars. BYU head coach Kalani Sitake talks about the differences we could see with QB Tanner Mangum. After a quick recap from Greg Wrubell and Marc Lyons, Alex Kirry and Cleon Wall give their take on BYU's 28-10 win over USU. BYU head coach Kalani Sitake, USU coach Matt Wells, Logan Taele, Tanner Mangum and Jamaal Williams make appearances in the Cougar Locker Room Show.